I love writing and I have been contributing to magazines and newspapers for a very long time. In 1996 I was commissioned by Choice Books (part of the Australian Consumers’ Association) to write a book, How To Connect To The Internet, which was published in 1997 and was rumoured to be the best-selling non-fiction book in Australia in that year. 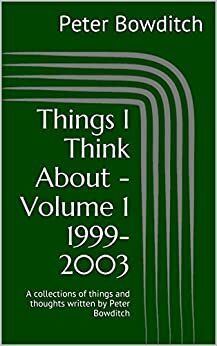 When I decided to put together a collection of things that I’ve written I had to pick an arbitrary starting date so I chose 1999, which happened to be the year I started publishing an online magazine called The Millenium Project (the spelling is intentional). For the first item I chose the first article I had published in The Skeptic, the journal of Australian Skeptics Inc. I had given a talk at an Australian Skeptics national conference and I was approached by the magazine editor immediately afterwards and asked to write up the talk for publication. As they say in the clichés, the rest was history. 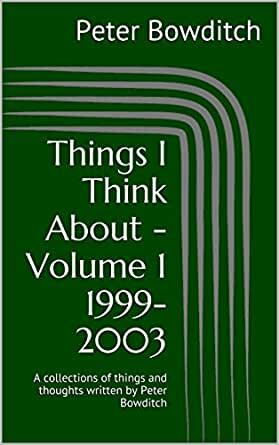 This volume covers the period from late 1999 to June 2003. There will be more later. I make no apology for writing about things that interest or concern me, and I have been lucky over the years in that editors have generally given me freedom to write about what I want in the style that I want, although obviously there have been occasional suggestions for topics. I like to think that I have a broad range of interests, although I might go through periods when one thing interests me more than others. The thread running through everything is skepticism – I like facts and I like those facts to be supported by evidence, or at least reasoned argument.